Download guide for the 49 days fasting and prayers here!!! 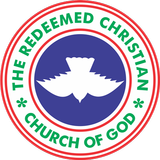 Welcome to the Web Page of The Redeemed Christian Church Of God Living Spring Parish Vienna Austria. Glory be to God for another year. God has truly been faithful and I am sure he has been faithful to you too. As Decleared by our father in the Lord Pastor E.A Adeboye, 2018 is our year of Total Victory and you shall sing songs of victory this year in Jesus might name.! You and I know that one cannot speak of songs of victory without understanding that there shall be contentions, there shall be battle to fight. There shall be challenges that will require higher Powers for you be declared a winner, or to qualify to sing victory song. This is why you must strengthen you faith in God this year. You must keep your focus on God this year. You must do all that it takes to get on always on your side all the year through. There is no other way to it. If you are born again and sanctified, you must understand that divine help is available for you. God can handle both to save you and also to help you. He has done it in the past, and he can do it in your life also. He God wants you to be at your fullness before the end of this great year. May I say it is because of this God made sure that you cross over to this year. I lot of people did not make it just at the last day to cross over, some died. But thank God you made it! As if that was not enough, He prepared an agenda of total and complete restoration for you and yours. This year you will surely laugh and celebrate the faithfulness of love of our great God. 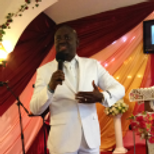 T his years prophesy will deliver based on your personal commitment to the demand of total and complete restoration. In other words, your personal delivery will depend on your personal responsibility. May this year grant you multiple harvest in the name of Jesus. I therefore, on behalf Gods servant Pastor Enoch Adejare Adeboye welcome you into your year of Total and Complete Restoration. Better days are before you in Jesus name. God bless you! Our Men and Woman Monthly Fellowship takes place every third Sunday of every Month after service. Living Spring...Your Place of Rest $ Fulfilment!